The Car exists solely for one reason: Jaws made lots of money. The number of movies that not only were inspired, but directly ripped off the story elements of Jaws throughout the 1970s and 1980s is massive – one could probably write a book about them. Movies about killer grizzly bears, ants, snakes, you name it – if they were able to graft a Jaws-type of plot onto them, they did (“they” mostly meaning American International Pictures who were more guilty of it than others). However, Universal Pictures also recognized the potential when Jaws was such a big hit, rushing The Car into production right away to try and capitalize on it. 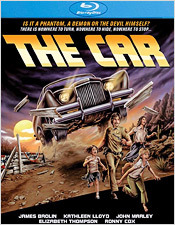 If you’re unfamiliar with the plot of The Car, it’s simple enough: a killer car of unknown origin makes its way through a small desert community, taking out its citizens one by one with no rhyme or reason. Meanwhile, a local sheriff attempts to get his citizens to safety and stop the car at all costs. What’s interesting about this plot is that it’s not just taking on Jaws, but also Duel (another Steven Spielberg project), intentionally or unintentionally making an amalgam of the two. You can’t really accuse it of being an early version of Christine either. Whereas Christine’s car seemed to have clear motivations, the car in this movie seems to be simply killing at random. Its reasons for doing what it’s doing, and what unseen force that is or isn’t controlling it, are never made clear. In reality, it’s just an excuse to have a “Jaws on land” plot. I’ve mentioned many times that I’m a fan of movies that are so bad that they’re good, which is what The Car is, but what I’ve always found strange about the movie is the dialogue. The exchanges in this movie are some of the weirdest I’ve yet to come across in a movie of this particular quality. It looks like a real movie with some sort of budget and some decent enough acting, but the words spoken are just odd most of the time. The movie is also pretty scarce of any blood or gore, spending most of its time trying to build atmosphere and tension. It never fully succeeds though as most of the time characters sit around contemplating their plight and what to do about it. Mayhem does occur from time to time, but not in an overtly satisfactory way. Personally, I believe The Car is better than most of the Jaws “inspired” movies that I’ve seen. It’s never really ever truly good and it can be somewhat boring at times, particularly during heavy expositional or character scenes, but it certainly has plenty of moments worth appreciating. It’s never shy about where it gets its ideas from and there are some genuine laughs to be had at the movie, which is better than nothing at all. Scream Factory’s release of The Car on Blu-ray features a very strong and solid presentation. There’s a very natural and organic-looking grain structure with a great amount of visual detail within it. Scenic vistas, skylines, and even dirt roads seem to be popping with fine detail. The color palette is also pretty strong, with skin tones looking very natural. Black levels appear quite deep, and both contrast and brightness levels are excellent. There are no signs of digital augmentation, but there are some minor artifacts left behind. The opening credits especially carry most of this transfer’s problems, of which there are very few. 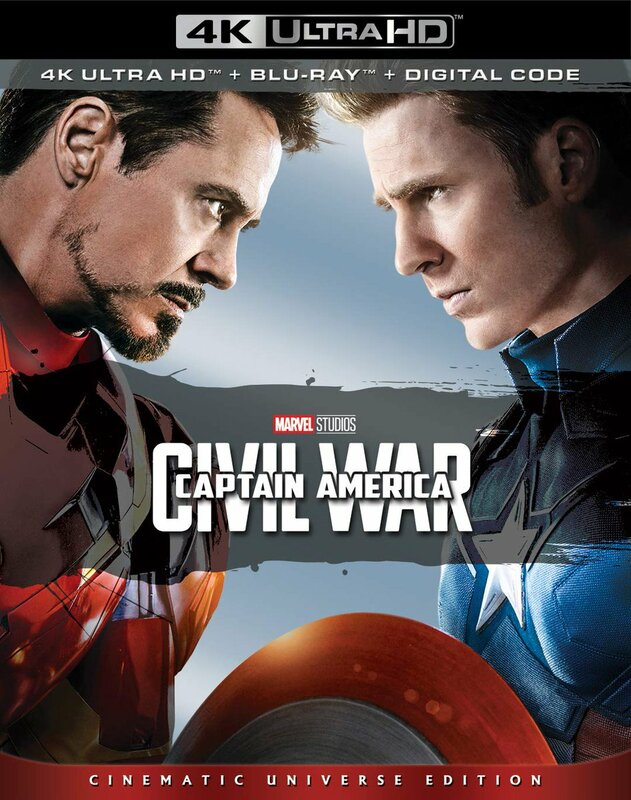 There are also two soundtrack options to choose from, English 5.1 and 2.0 DTS-HD. Dialogue is always clear on both tracks, but both sound effects and score seem to have more punch on the 5.1 track. There’s also some nice fidelity and speaker-to-speaker activity, as well as some LFE to give the car itself more of a sonic edge. Either soundtrack is a good listen, but the 5.1 track has a little more going for it. There are also subtitles in English SDH for those who might need them. The extras selection on this release include a few decent interviews, including Mystery of the Car with Elliott Silverstein (director), The Navajo Connection with Geraldine Keams (actress), and Just Like Riding a Bike with Melody Thomas Scott (actress). Also included is the original theatrical trailer, a TV spot, a set of radio spots, and a still gallery. 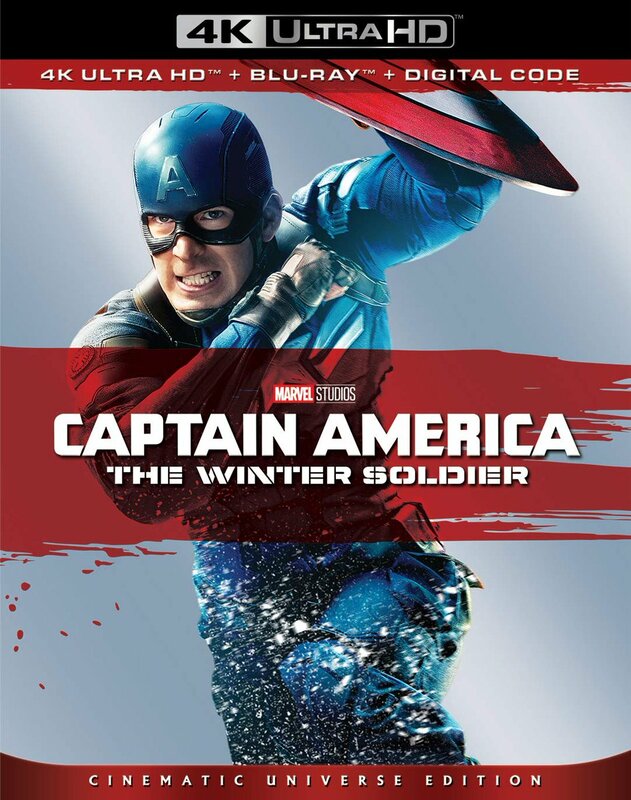 I double-checked the original DVD release just for posterity and it only contained the trailer, but it’s Arrow Video’s Blu-ray release of the movie that, if you’re a fan, you might want to consider double-dipping for. That release contains a whole bevy of different extras, none of which are featured on the Scream Factory counterpart (aside from the trailer). The soundtrack on that release comes as an LPCM audio track, and there’s also an audio commentary with Silverstein moderated by Calum Waddell; Making a Mechanical Monster, an interview with special effects artist William Alridge; Hitchhike to Hell, an interview with actor John Rubinstein; an introduction to the film and Trailers From Hell audio commentary on the trailer with John Landis; an Easter egg; and an insert booklet with essays on the film. If you’re Region-Free friendly, the question now stands: “Should I buy one release over the other?” I say no. Both cover a lot of the same ground, although I think that Arrow has a little bit more to offer in terms of extras. They’re both valid releases and both are worth checking out, in my opinion. Regardless, The Car is another in a long line of unintentionally funny movies, and this is probably one of the more infamous ones. It’s definitely worth seeking out for some laughs.